Das Pedal ist neu und wird in Originalverpackung und beiliegender Rechnung verkauft. Massive free–standing pedestal design with upper transverse beam and solid metal base plate for maximum strength and rigidity. 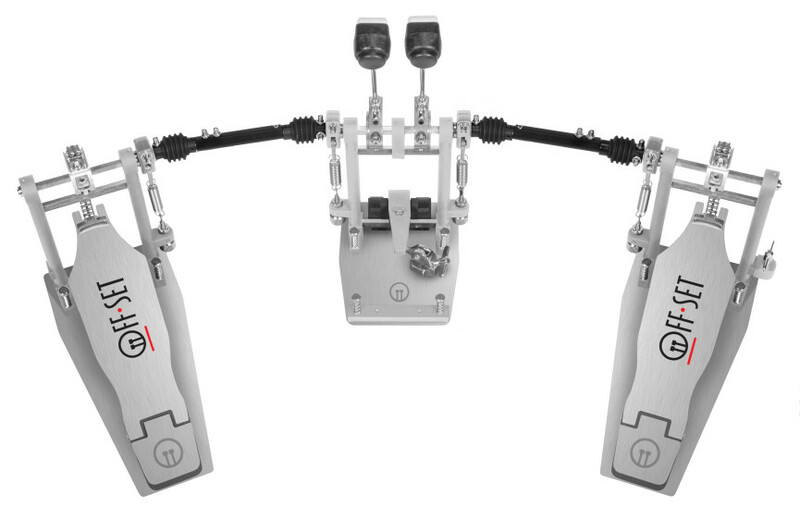 Two 12 1/2” long x 3 1/2” wide foot pedals–largest in the industry–for either heel-up or heel-down techniques. Radius adjustable drive wheel – The only pedal in the industry on which the diameter of the drive wheel can be infinitely adjusted from 1 1/2” to 3” with only a drum key. Spring shackle lugs thread into a locking nut keyed into the body of the shackle, totally eliminating the possibility of them stripping out. Fully adjustable concentric double chain drive. Quad drive springs for increased response and sensitivity 1/2” U-joints and dust covers. Spring-loaded anti-skid spurs and anti-skid velcro on both pedal base and center. Completely independently adjustable beater holders with 1” lateral adjustment each. Hard-soft mallets with mallet shaft keys. Center-mounting, Swivel-foot hoop clamp which eliminates all lateral torque on the bass drum hoop. Twin drum key holders with drum keys. 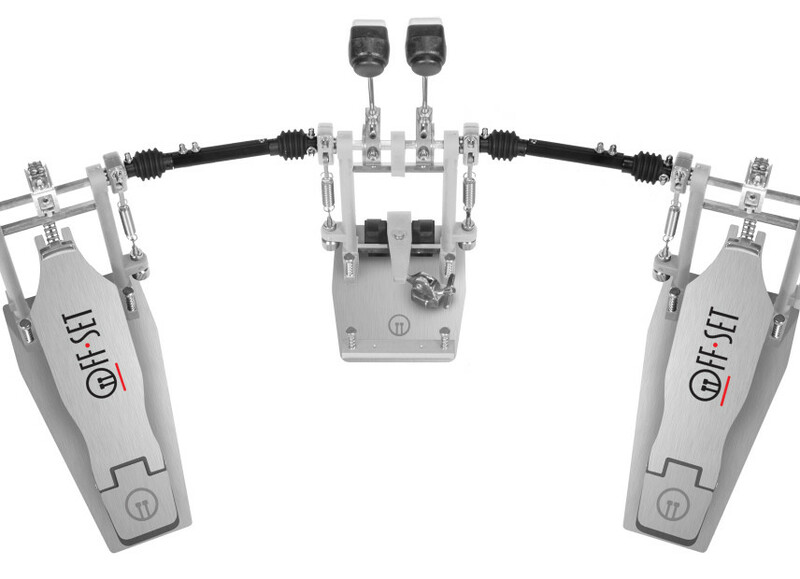 Bi-laterally symmetrical design creating a unit where both pedals FEEL IDENTICAL. 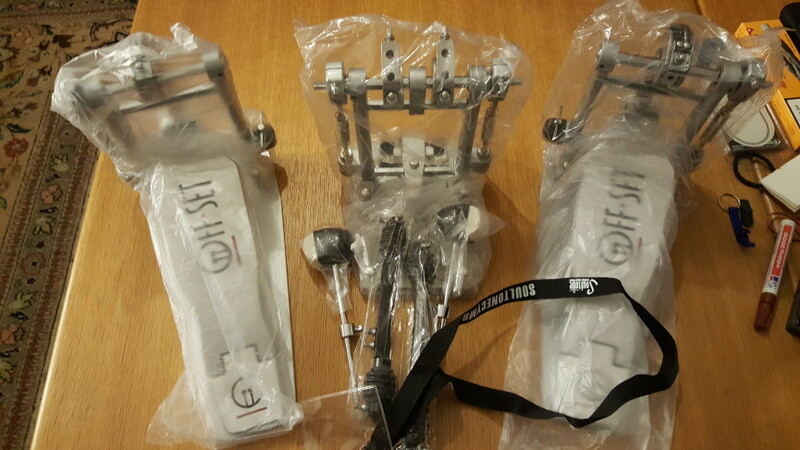 Eliminates hip displacement and joint stresses caused by traditional placement of the standard pedals. Mit diesem Pedal ist es möglich, den Setaufbau so zu gestalten, dass sich die Bass Drumm und die Snare wirklich absolut zentral vor dem Drummer befinden. Durch die gleichschenklige Ausführung ist zudem das Spielgefühl für beide Beine / Füße identisch. 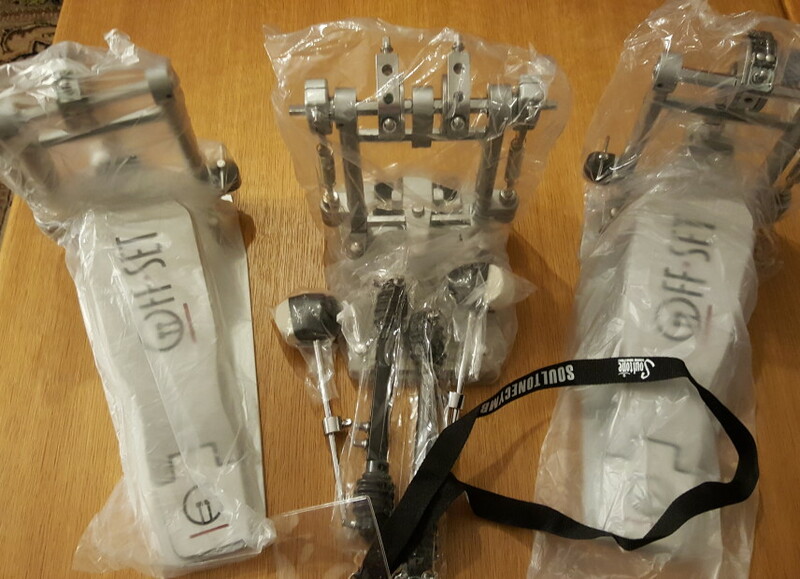 Anders als bei einem Doppelpedal mit direktem Bass Drum Hoop Mount und einer relativ langen Welle… Ein völlig neues Spielgefühl… absolut ERGONOMISCH. Es handelt sich hier um einen Privatverkauf. Keine Garantie (außer der auf der Rechnung ausgewiesenen über den Hersteller / Vertrieb). Keine Rücknahme. Das Pedal befindet sich in dem oben beschriebenem Zustand. Korg T3 Synthesizer Music Workstation Keyboard, ! !WIE NEU! !